Nearly three years ago, architects Diller, Scofidio + Renfro broke ground on the Berkeley Art Museum and Pacific Film Archives’ (BAM/PFA) $112 million expansion and renovation. Diller, Scofidio + Renfro successfully merged old and new into a dynamic state-of-the-art home for BAM/PFA’s offices, collections, and programs. The project integrates a 48,000-square-foot Art Deco–style building, formerly the University of California Berkeley printing plant, with a 35,000-square-foot new structure. The printing plant’s distinctive north-facing sawtooth roof was preserved, which resulted in the collaboration with our firm, Advanced Glazings Ltd. (AGL). According to BAM/PFA’s Founding Director Pete Selz, the building was designed to make “an aesthetic statement of its own,” while showcasing a multitude of art and film exhibits. The Solera L glazing was chosen for its unique and powerful ability to deliver and distribute natural light to the interior in all directions. To create the perfect viewing experience, AGL, used modeling and a toolchest of variable constructs to create custom Solera L glazing units and meet the buildings complex requirements. Solera delivers a seamless combination of natural daylight and lumen levels throughout the gallery space without contrast and glare. Now, the iconic structure is an exciting landmark for Berkeley’s downtown art district and home to more than 400 films, 20 art exhibitions, as well as an extensive schedule of programs and performances annually. The World Garden (2016), the first of Berkeley Art Museum’s “Art Wall” series, which commissioned artists to create a work for the venue’s public lounge area. SOLERA ® (link) insulated glass products are designed to deliver superior daylighted spaces and a wide range of thermal insulation from R2 to R25. Our product lines are engineered to be highly configurable, allowing control of light diffusion and transmittance, control of solar gain, thermal insulation, sound transmittance, aesthetics, safety and more. Our services include illumination, lighting and daylighting analysis, glare/contrast and thermal modeling. Lions and tigers and amazing architecture…oh my! The healing benefits of daylighting are proven on humans who recover faster with fewer complications given well daylit environments in healthcare facilities …so why wouldn’t they provide the same benefits to animals? This question was influential when Diamond Schmitt Architects of Toronto, Canada in partnership with DesignLeveL Inc. started designing the Toronto Zoo’s $19.1 million state-of-the-art Wildlife Health Centre. With more than 5,000 procedures completed each year on more than 450 animals of all species, shapes and sizes, it was paramount that the facility be designed to provide the optimal work and recovery space for wildlife healthcare workers and their patients. The end result is an impressive 50,000 square foot facility that is the first of its kind in Canada. “We were honoured to have our SOLERA product used in this remarkable facility. When we started Advanced Glazings Ltd two decades ago, we had a clear vision to offer an energy efficient source of daylight to customers around the globe. The benefits of daylight include enhanced mood, better focus, and increased energy. These same principles apply to this project and are proving to offer an optimal healing atmosphere for the zoo’s patients,” shares AGL Founder, Doug Milburn. The zoo’s patients, which range from small reptiles to large bears, will benefit from having plenty of daylight thanks to Advanced Glazings Ltd.’s (SOLERA T-R5) windows. •	Intentional focus on bringing full spectrum natural light as deeply into the circulation and treatment areas. To learn more about Advanced Glazing’s products, connect with Advanced Glazings. We would love to chat more about how daylighting can enhance your next project! Maintaining the integrity of a century old, 10-storey historic property while undergoing a rehabilitation and expansion is no easy feat. Now, add the challenge of maximizing daylight and honouring the artistry of Canada’s premier dance facility—Espace Danse at the Wilder Building in Montreal, Canada. Architects Lapointe Magne and Associates and Aedifica’s end work is a unique and whimsical masterpiece. At Advanced Glazing Ltd, we were thrilled that our SOLERA product line was chosen as one of core materials used in this project. Parts of the academies have no artificial light, so controlling the density of daylight was critical. SOLERA helped achieve this while also improving the thermal performance of the building, attaining a silver certificate in energy efficiency. “Unique patterns were used through a fired-on silk screening method over the SOLERA to identify the dance groups and to diminish heat gains within the dance studios. This optimizes the energy efficiency of the overall building, maximizes daylight and reduces the heat map,” shares Robert Magne of Lapointe Magne and Associates. Light diffusion is a desired interior design technique and is by far the most effective method for creating a comfortable and visually pleasing naturally-lit environment. It’s not the light itself that impacts an environment, but the systems and materials that accompany and interact with the light that produce this affect. Diffusion breaks straight beams of light from the source, scattering them in different directions and producing a glow, rather than a shine. Its purpose is to mimic soft natural light from the sun (diffused naturally by clouds and the atmosphere), eliminate harsh shadows, offer larger expanses of continuous illumination and ultimately improve aesthetics and occupant comfort. Diffused light does not always mean less light. Most methods and degrees of light diffusion yield a bright and useful space, with less intensity. Contrast and uneven illumination are completely eliminated. Architects Lapointe Magne and Associates and Aedifica partnered to create a space fit for Canada’s premier dance companies. Combining Advanced Glazings Ltd.’s SOLERA T-R5 with stunning silkscreens created a unique and whimsical affect that provides the perfect natural light. Sydney, NS – 23 years ago, Dr. Douglas I. Milburn, an mechanical engineer from Sydney, NS had a vision to develop an environmentally sustainable product line that maximizes natural daylight in buildings. With this vision, Doug, alongside his wife, Michelle, launched Advanced Glazings Ltd (AGL). Today, AGL is preparing to make the final shipment of its largest single contract to date more than 8,900 kilometers across the Atlantic Ocean to Kuwait. The total project included 20 containers of 1126 glazing units. AGL is supplying its proprietary SOLERA® and Aerogel glass products to the Sabah Al-Salem Kuwait University’s newest campus—an aggressive build to create 14 different colleges on one campus and the largest University Complex in the Gulf Cooperative Council. AGL Provides their product to the College of Business building. To put the scope of this project into perspective, the building is comparable to the size of the Empire State Building on its side. AGL’s SOLERA® and Aerogel product line is unique in its ability to distribute light evenly, while providing four times the insulation performance of commercial standard “high performance” glass units. This means buildings that use SOLERA® and Aerogel products are bathed in natural light and are extremely energy efficient and cost effective to heat and cool. Advanced Glazings Ltd. was founded in 1995, by Dr. Doug and Michelle Milburn to develop, manufacture and market, sustainable and commercially viable technologies related to sunlight. Since inception, AGL has been partners on projects throughout Canada, the United States, Europe and the Middle East. When you walk into the Kenneth C. Rowe Management Building at Dalhousie University in Halifax, Nova Scotia, Canada, you’ll immediately appreciate the gentle wash of natural light that passes through the inspired building. The recent addition to the historic campus is a collaborative effort between architects John Dobbs & Associates of Halifax and Shore, Tribe, Irwin & Partners of Toronto. This team achieved a seamless combination of aesthetics and function, creating the optimum learning space for the acclaimed Canadian university. Modern, environmentally-friendly design, awash in perfect natural light, makes the Kenneth C. Rowe Management Building a favourite space for students to learn, study and hangout. The building is comprised of classrooms, offices, as well as a state-of-the-art 5 storey atrium. The challenge was to maximize natural light in all spaces without compromising energy efficiency, style and design. Combining Advanced Glazings Ltd.’s Solera T-R5 glazing with ordinary vision glass, resulted in a cloud of perfect natural light, which adds clarity and beauty to the interiors while enhancing functionality. “It feels like I’m not really in a building for 6 hours writing a paper. You get all this natural light and it feels like you’re not in a closed space, but you’re sitting outside the whole day. I definitely push myself to do more work here,” says Emma Conrad, 3rd year Management major. “I’m completely fine in my end-of-the-day 3-hour class in the Rowe building but will often dose off in a midday class at another location,” says Allie Reed, 2nd year Biology major. “I don’t know why but I’ve always liked studying here, I’m not even a management student, but I like the vibe of the building. It’s really bright here and I think it affects my mood,” says Logan Meeks, 3rd year Arts major. Espace danse has it all: beauty, grace, sustainability, and functionality. As any seasoned Architect will attest to, a complete retrofit is no easy challenge to pull off. One of the main focus points of Robert LaPointe (Lapointe,Magne & associés) in this undertaking was sustainability and true daylight harvesting. Using Advanced Glazings Ltd’s SOLERA ® to get real Daylighting benefits, the SOLERA ® T-R5 was an essential tool used to wash the interiors with a cloud of perfect natural light, transforming the Wilder project into one of Canada’s most beautiful buildings. Located in the heart of Montreal, Quebec, Espace danse has a unique history and relevance to modern sustainability and Upcycling (creative re-use) principles that may surprise you! Originally built around 1918, the Wilder building was unoccupied for over 10 years, yet around 2012 a plan was envisioned for it to undergo major renovations and become an artistic hub bringing together many cultural organizations under one roof. Determined to provide an international showcase for the incredible vitality of Montreal, Quebec and Canadian dance. Espace danse has become the dance destination of choice in Montreal and Quebec, a complex unlike any other in Canada, offering a host of new services to dance professionals and the general public. Solera glazing units being displayed at Big 5 trade show. Advanced Glazings Ltd. makers of Solera glazing units are pleased to be part of the largest construction exhibition in the Middle East, The Big 5. Last year’s show completely sold out with a whopping 81,401 participants and 2,801 exhibitors from 61 countries. The show has been attracting construction experts from all over the world for over 30 years, with over 30,000 products to choose from and over 2800 manufacturers and distributors to answer your questions. Advanced Glazings Ltd. will be displaying Solera glazing units at the Big 5 trade show until tomorrow November 26th, 2015 when the trade show closes. Visit http://www.advancedglazings.com to check our Solera product line. Watch live as the Sacramento Kings ESC is built!! Advanced Glazings Ltd. makers of Solera glazings units are excited to be part of the new Sacramento Kings ESC. The arena will house the Sacramento Kings NBA team as well as a variety of exciting events including but not limited to other sporting events and concerts. The Sacramento Kings Organization gives you the opportunity to watch the building being constructed live by visiting the link below! We will be keeping our eye on the live feed in hopes of catching the installation of our own Solera units. 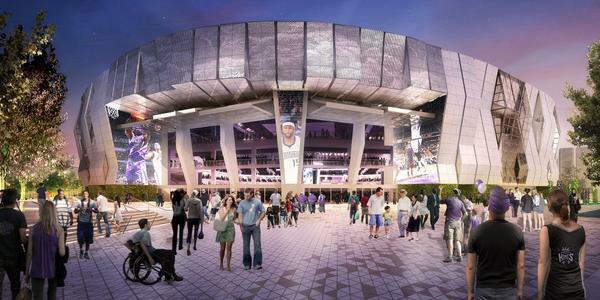 See below renderings of the Arena and keep up with the action by following @SacramentoKings on twitter. Have you ever wondered translucent, channel or frit when choosing glass? 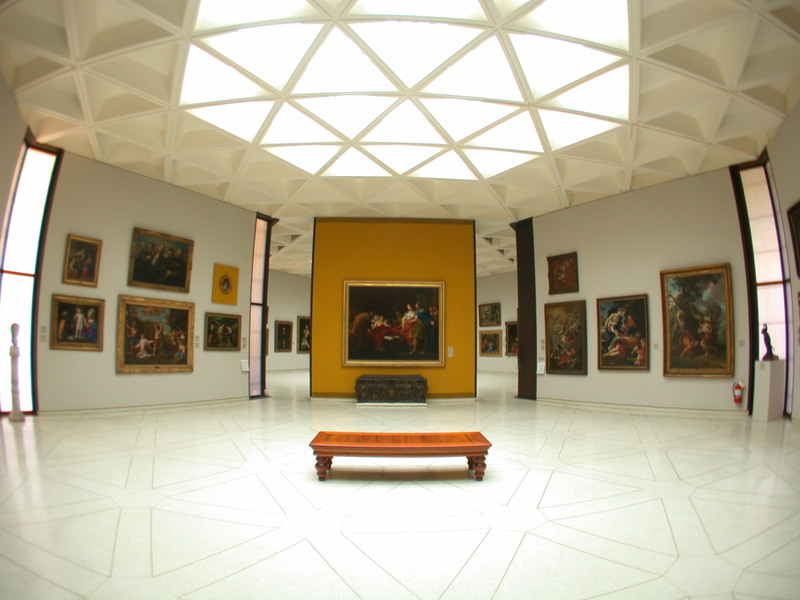 Photo Above, Muse De Ponce, Puerto Rico – a naturally daylighted art museum, using Solera Translucent Glazings . Finally, we’d like to send a big thank you to the publishers of Net Zero Buildings Magazine for allowing Sam to weigh in on the issue.